Taken with Olympus E-500 digital camera May 3rd 2007. Click image for larger view. The days are getting longer and longer. This picture were taken at 10 PM in evening! The nights are also getting very light and as I’m writing this, at 2 AM, the horizon is still orange. Seeing this in real life was very breathtaking and I have to admit that the picture does not give credit to the sight. Very nice. Love the colors! Beautiful photo! What a lovely place. It’s simply breathtaking. Every photos are very much beautiful , i love this photos. I love your photography. My best friend Elisabet is from Norway. I sent her the link to your site. This is just lovable and fantastic! A very romantic scene! 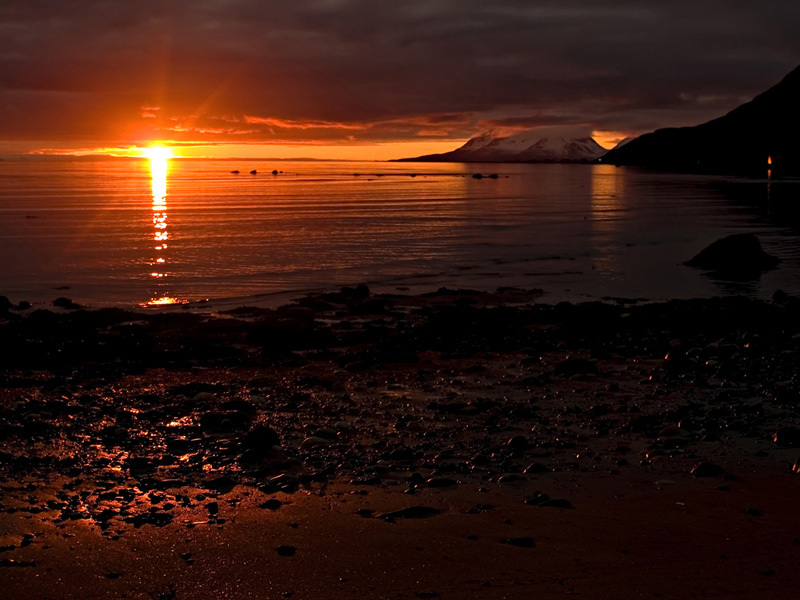 The rumor is true, the sun shines at night in Norway! Lovely photo,s. I am visiting your country for 2 weeks from 12th June to fish for Cod , coalfish and hopefully halibut. we are going to the island of Skjervoy north of Tromso.I am going with 3 other lads. I am also taking my Camera to make this a photographic holiday as well as fishing. I’ll be really pleased if i get some lovely skies like yours. Ihope also to see and photograph some wildlife. WOW! I don’t usually leave short comments but that really sums it up.